This is your chance to see Bangkok’s finest and most breathtaking Buddhist temples, whilst taking in the modern architecture within the city. The experience includes visiting the Temple of the Golden Buddha, temple of the reclining Buddha and the marble temple, meaning you’ll have plenty of Thai culture to absorb. 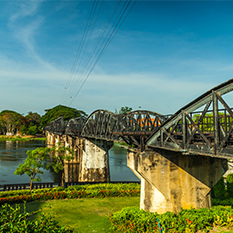 This tour is simply a beautiful introduction to Bangkok. After being picked up from your hotel, the first stop is the Temple of the Golden Buddha, which is unbelievably around 700 years old and was originally covered in plaster to hide its true worth from an invading enemy. 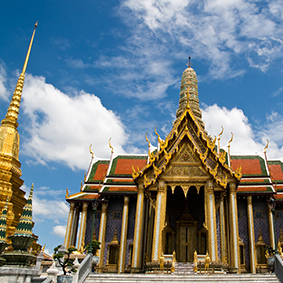 Then you’ll make your way to Chinatown before reaching Wat Pho, known as the Temple of the Reclining Buddha. The temple dates way back to the seventeenth century and houses the biggest Buddha in Bangkok, with its feet stunningly lying over 45 metres away from the head. The last temple on this fantastic itinerary is the Marble Temple, which is a exquisite example of Thai culture and craftsmanship. Built in the late 19th Century with white italian marble from Carrara you’ll see why its stunning architecture draws in thousands of tourists. Hotel pick-ups commence up to 60 minutes before the tour start time. 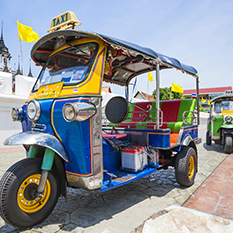 Are you interested in adding the Bangkok City and Temples Tour to your honeymoon in Bangkok? Contact us today!